What differs "Ultimate FreeCell Solitaire" from dozens of other solitaire games? FreeCell solitaire is one of the enormously popular solitaire games included with Windows. Unlike many solitaire games, all the cards in FreeCell can be seen at the opening deal, so most FreeCell deals can be solved but it requires skill and patience. In this mode you have indefinite time but you better play as fast as you can because the final score is calculated as: points won - game duration in seconds. Points are won every time a card lands in its foundation. The first card scores +1, second +2, third +3 etc. The last card scores +52. 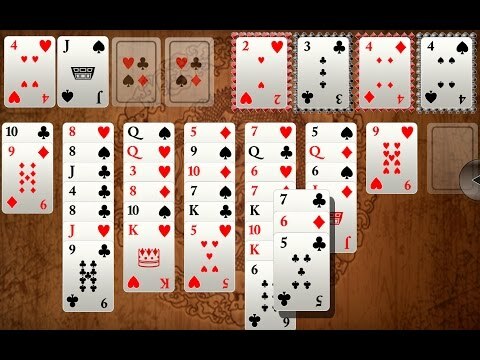 This is an unique competition in playing FreeCell solitaire. For skill measurment ELO rating is used, same method which is used to rate the skill level of chess players. Every time a card lands on its foundation your score increases. If you finish the game before the time is over, the time in seconds is added to your final score ("time bonus"). In "Ultimate FreeCell solitaire" you can move the cards with drag and drop or tap. Tap is the shortcut to move the card to the freecell or foundation if possible. There is no undo or hint, in "Ultimate FreeCell Solitaire" its all about skill!